Tucked away in an update to Instagram described as “Bug fixes and performance improvements” is a share extension that allows you to share photos to Instagram from Apple’s Photos app or any other photo app that supports share extensions. 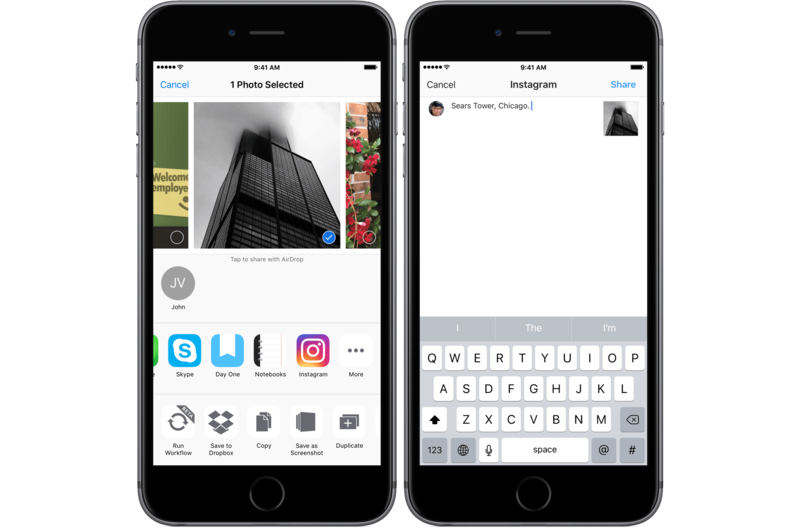 A share extension is a long time coming to Instagram, which previously required you to import photos into Instagram from your Photo Library or take a snapshot or video using Instagram. Unfortunately, the Instagram share extension’s functionality is limited. All you can do is add a title to the photo you post to Instagram. There is no way to crop your shot, apply filters, tag people, select a location, or select social networks on which to share your photo, all of which are available in the main app. Even so, the addition of a share extension is a welcome addition to Instragram, which received a significant design refresh and new icon last month.